Took advantage of my daughter flying into the Rochester airport to visit several birding spots in the area prior to her arrival. 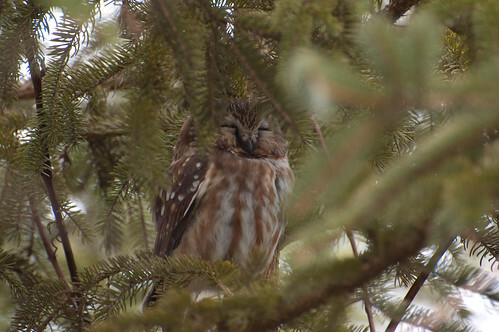 One stop was Owl Woods (part of Braddock Bay Fish & Wildlife Management/Braddock Bay Park) to search for migrating northern saw-whet owls. Success! These owls are always a joy to see. 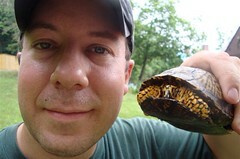 They are only 7-8 inches tall and weigh in at a whopping 2-5 ounces. Due to an early morning flight for a business trip on Monday, I stayed in Rochester Sunday night. I decided to head up early and spend the day visiting some of the Rochester-area birding sites including Owl Woods and the Braddock Bay Hawk Watch. I am extremely thankful to Jim Adams (http://ayearinoatka.blogspot.com/) for meeting me, providing such a wonderful tour of the area and for sharing his experience and knowledge (and scope). 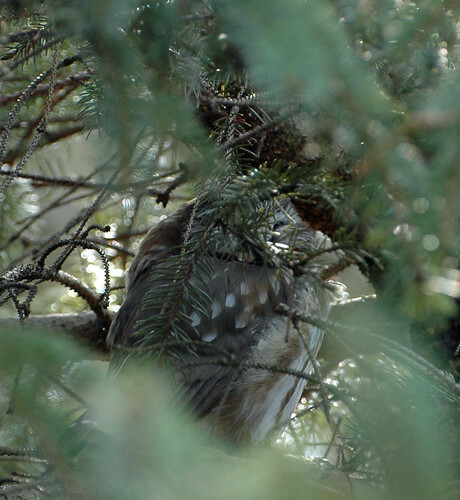 We found this Northern Saw-whet Owl, nestled in an evergreen tree, resting up to finish its northern migration. 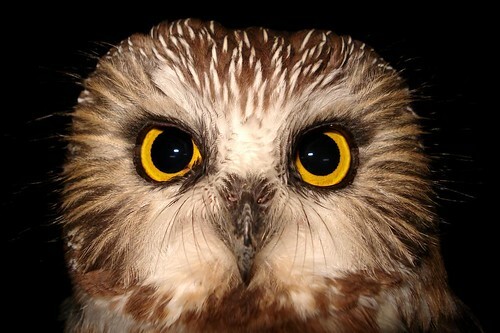 These owls are quite small – only about 7-8 inches tall and weigh less than ½ pound . Please note that the pictures were taken with a telephoto lens and we kept our observation time brief. 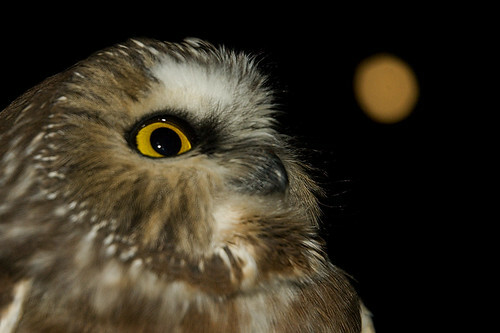 First Northern Saw-whet Owl of the Season.